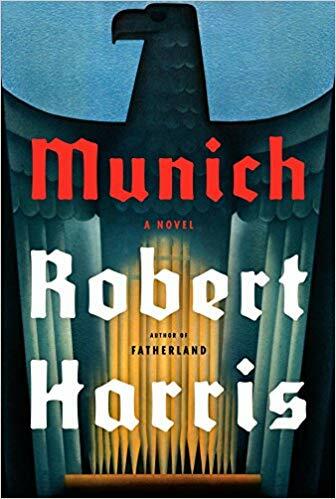 Robert Harris’s newest book, Munich, takes place during four days in September 1938, during which England’s Prime Minister, Neville Chamberlain, met with Hitler, Mussolini, and the President of France to try to avoid war over Czechoslavakia. Or at least Chamberlain was trying to prevent war. As he has done before, Harris manages to create suspense around an event the outcome of which we already know. He does this by introducing two characters, friends from Oxford who are now diplomats. Hugh Legat is a junior secretary for the Prime Minister. Paul von Hartmann is in the German foreign ministry, but he is also a member of a group who would like to bring down Hitler. The group asks him to attempt to encourage a strong response from England on the Sudetenland issue by leaking secret German aspirations in Europe to England through his friendship with Hugh. The group believes that if war is declared, the German army will stop Hitler. This mission is a dangerous one for Hartmann, who already has one SS officer on his tail. Meanwhile, Hugh in trying to be a liaison is continually stymied by orders from his jealous boss. I felt a little more detached from this one than I usually do for Harris’s work. It depicts Chamberlain, though, as a much more determined and politically savvy man than he is believed to be now. I get the feeling that Harris, who states in the afterword that he has been fascinated by this meeting for years, wants to show Chamberlain in a more positive light than history generally affords him. 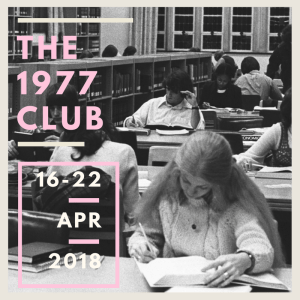 I actually read this novel before the 1977 Club was announced, but I was pleased to find that it was published in that year. I have a couple of other books I’m reviewing this week that I read especially for the club. 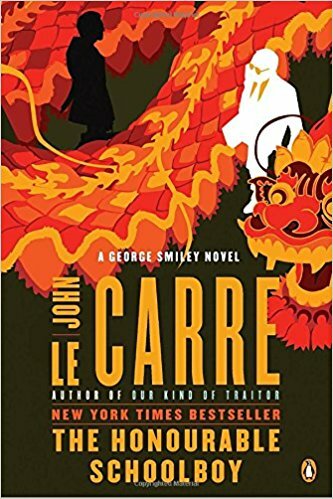 I wasn’t aware that there was a sequel to John Le Carré’s Tinker Tailor Soldier Spy until I picked up The Honourable Schoolboy and started reading it. It is truly a worthy successor. In summarizing the plot, I have to give away a key point of Tinker Tailor Soldier Spy, but a point revealed toward the beginning of the novel. In that novel, of course, George Smiley uncovered a mole for the Russians high up in British intelligence. Because of the mole’s position, as The Honourable Schoolboy begins, all of the service’s spy networks are compromised and must be dismantled. With a small staff of personnel who were dismissed during his predecessor’s reign, Smiley must figure out a way to make the service viable again. He has the idea that they can look for intelligence in the lacunae of his predecessor’s work, that is, look for promising leads that were suppressed. They find one, payments by the Russians to an account in Hong Kong, first small ones but later very large. Since the “spook house” in Hong Kong has been closed, Smiley recalls a journalist, an “occasional” agent, Jerry Westerby, from retirement in Tuscany to investigate this lead. A tangled path leads him from a Chinese businessman in Hong Kong to the man’s former prostitute English mistress, a Mexican drug courier in Vientiane, and some ugly dealings. It is always amazing to me that Le Carré can evoke as much excitement from a paper chase as from an action sequence. Once again, he is in top form with a taut thriller. This novel is set against a backdrop of Southeast Asia exploding into chaos with the end of the Vietnam War. Westerby’s investigations take him to Hong Kong, Shanghai, Phnom Penh, Vientiane, and Saigon. I had never read anything by Rhys Bowen, but recently I noticed reviews of her books popping up here and there. When Netgalley offered On Her Majesty’s Frightfully Secret Service, I was intrigued. What I found was a frothy story of intrigue. This novel is the 11th in her “Her Royal Spyness” historical mystery series. Bowen’s heroine is Georgie Rannock, the sister of a duke and 34th in line for the throne. She is on the impoverished side of the family, though. It is 1935, and Georgie is staying at the ancestral home of her fiancé, Darcy, at Kilkenny Castle in Ireland while they plan their wedding. Since Darcy is Catholic, Georgie may not marry him unless she renounces all claim to the throne, and to do so, she must have permission from the throne. Darcy is employed by the government in some secret capacity, and he is called away. In his absence, Georgie decides to pop over to London after receiving a belated summons by Queen Mary. In her late mail, she also finds a plea from her friend, Belinda, who is in Italy. Belinda has gotten pregnant and is hiding out in Italy until she goes across the lake to Switzerland to have her baby. She wants Georgie to stay with her. Summoned to tea at Buckingham Palace, Georgie goes to discuss her wedding difficulties with Queen Mary. When the Queen learns her immediate destination in Italy, she proposes getting Georgie invited to a swank house party there. The Prince of Wales and Mrs. Simpson will be attending, and the Queen wants to know if Mrs. Simpson has her divorce. At the house party, Georgie finds herself enmeshed in more than one drama. Her mother, the famous actress, is there, and she is being blackmailed. Some of the party are German generals, and something seems to be going on with them. And soon there is a murder. I mildly enjoyed this little romp, although I knew who the murderer was even before the murder (if that makes sense). That is, I noticed something immediately and once there was a murder, knew who it was as a result. Perhaps I would have enjoyed the novel more if I had started with the beginning of the series. Georgie gets herself into some ridiculous situations, the murder is worked by a bone-headed Italian policeman, and the novel is just silly fun. Horses of the Night seemed like a good choice for me, because it’s about Christopher Marlowe, and I do enjoy novels about literary figures. I just never developed much interest in this novel, however, and gave it up after 100 pages or so. The novel concentrates on Marlowe’s spying career, involving him right away in the Babington Plot. Although Marlowe is alleged to have been a spy, nothing is known of his activities. 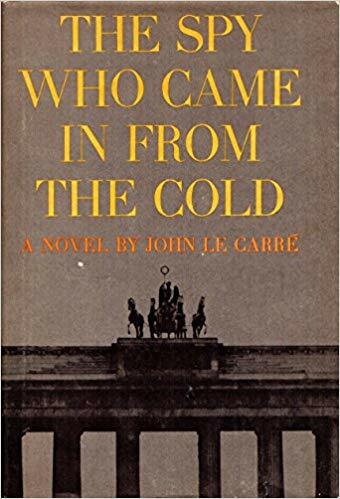 At least as Aggeler depicts it, Marlowe seems to have little role in the case, sent in at the end of the plot with only a few lessons in how to be a Catholic. He is involved long enough, however, to become sympathetic with one of the alleged plotters, Margaret Copley. Aggeler appears to be previously an academic writer. For this novel, he has adopted a pseudo-Elizabethan writing style throughout, even for descriptive passages. This is an interesting approach, and it is not inherently irritating, but I found the writing overblown at times. I also felt as if I was seeing a Marlowe who was not the actual person I would expect from my admittedly limited reading, a man more conventionally likable than Marlowe probably was. Enchanted Islands is a novel based on the lives of Frances and Ainsley Conway, an American couple who lived on the Galapagos Islands in the late 1930’s and the 40’s. Although based on two memoirs written by Frances Conway, Amend has expanded the novel to cover most of Frances’s life and her friendship with Rosalie Mendel, all presumably fictional. This book is a rather odd one. It begins with Frances and Rosalie in their old age and then returns in time to their childhood in Wisconsin. It spends some time there, following them until Frances’s late teens, when she discovers Rosalie with her own boyfriend and flees. Then it glosses over the next 20 years until Frances meets Rosalie again in California and later marries Ainsley. After that, Frances and Ainsley go on a spying mission for the Navy, something Frances is never able to tell her friends about. The result creates a sort of divided effect. First, sections of the novel are either full of Rosalie or have no Rosalie, which made me wonder, why even bother with her? Why not just write about Galapagos? The other parts seem to belong to a different novel. Then there is Galapagos, which Amend simplifies to the island Floreana when actually the Conways lived on three different islands. The existence there seems harsh, bleak, and lonely. There is little description of scenery or anything else to make us understand why, according to Amend, they came to love it. In fact, there is very little going on there, even including the spying. I felt a distance from all these characters. Although we learn a lot about Frances, we don’t ever feel as if we understand her, and Ainsley is a sort of charming enigma. Most of the time, we don’t even like Rosalie. So, a middling reaction to this novel. I was interested enough to finish it, but only mildly interested. I thought there was no sense of place in any of the settings. The characters didn’t seem like real people. The cover of the novel is lovely, but the islands seemed in no way enchanting. Did Amend bother to visit them, or is she just not good at description? Or are they not lovely? Amend comments that she is a novelist first and only a mediocre historian. That remark irritated me, because I think that’s what’s wrong with with many historical novels. If authors aren’t willing to do the research to bring a time and place to life, maybe they should stick to contemporary fiction.